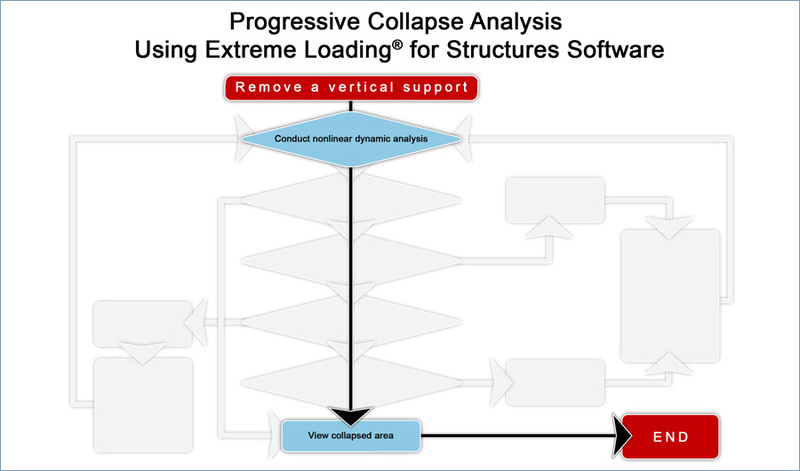 Extreme Loading® for Structures (ELS) software allows structural engineers to accurately model, analyze, and visualize progressive (disproportionate) collapse resulting from extreme loading conditions including: earthquake loads, severe wind loads, blast loads, dynamic loads and impact loads. 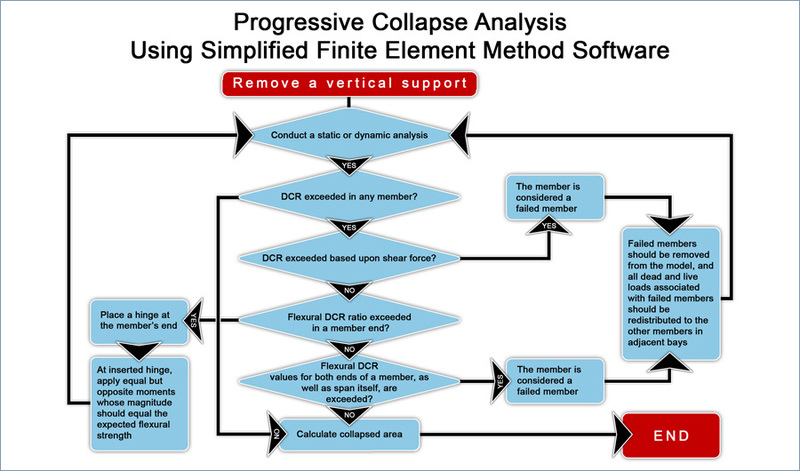 Engineers can also determine a structures vulnerability to progressive collapse by creating multiple event scenarios which will simulate the failure of different components so as to determine whether the resulting collapse will be partial or complete. 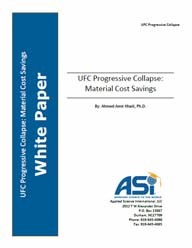 ELS can be used to satisfy requirements for UFC 4-023-03 Design of Buildings to Resist Progressive Collapse. 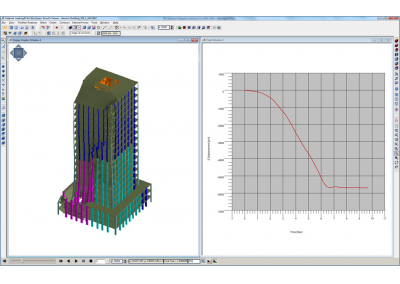 ELS is built around the Applied Element Method (AEM) of analysis, the only method that automatically calculates crack initiation, propagation and separation of elements. Plastic hinges are not assumed; rather, they are automatically calculated and generated without any user intervention. 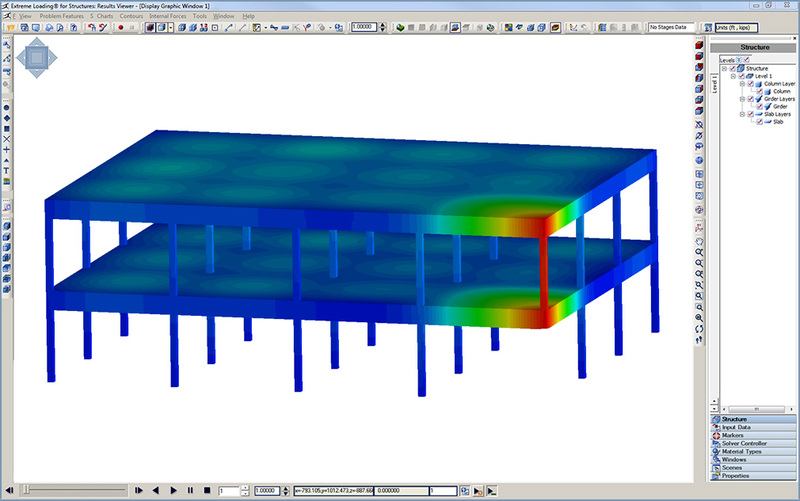 Collapse areas are not assumed; rather, when a plastic hinge fails the ELS solver automatically separates the section that fails allowing it to behave naturally within the collapse scenario. 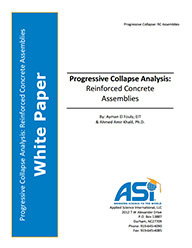 Reinforcement details, slabs, and masonry walls, commonly neglected in Progressive Collapse Analysis can be easily included in the model, providing a more accurate results and savings in hardening costs. 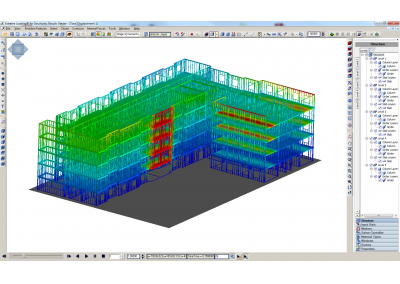 Data exchange available with several FEM and BIM software applications. 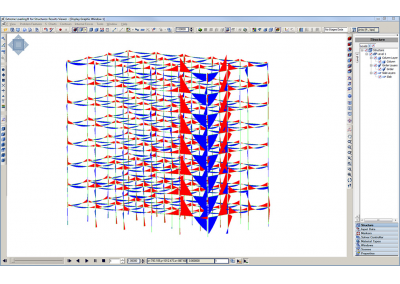 Displacement of a reinforced concrete structure during progressive collapse analysis. 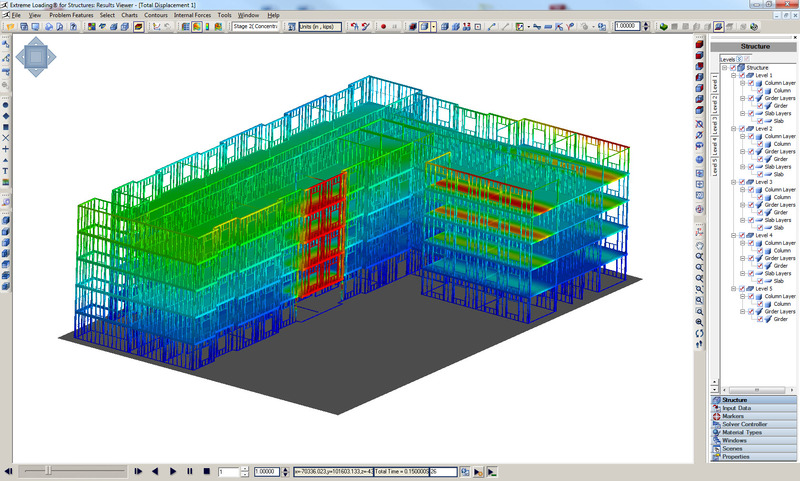 Shows displacement of the a segment of a higrise structure during progressive collapse. 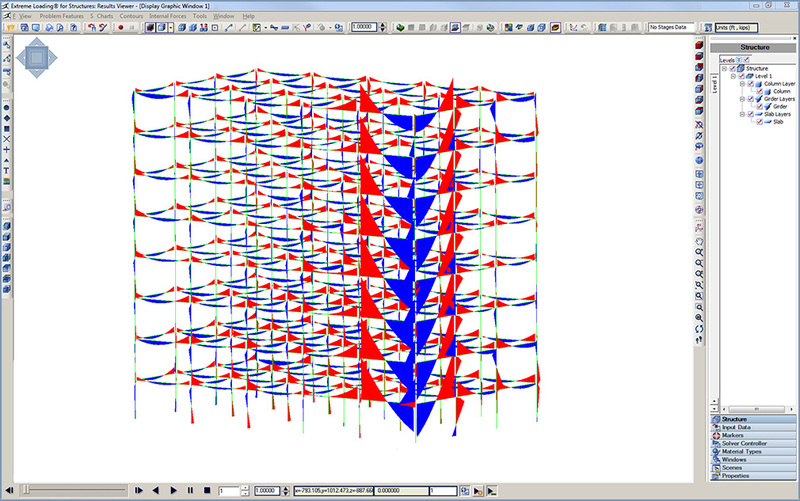 Displacement diagram of a light gauge steel structure during progressive collapse analysis. Bending moment diagram during progressive collapse analysis. 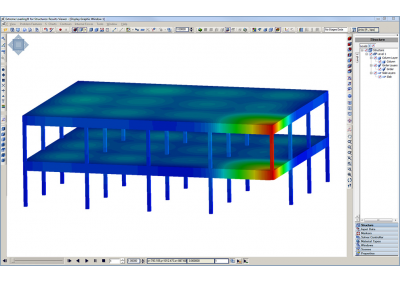 Structural components can be removed either simultaneously or at custom intervals. 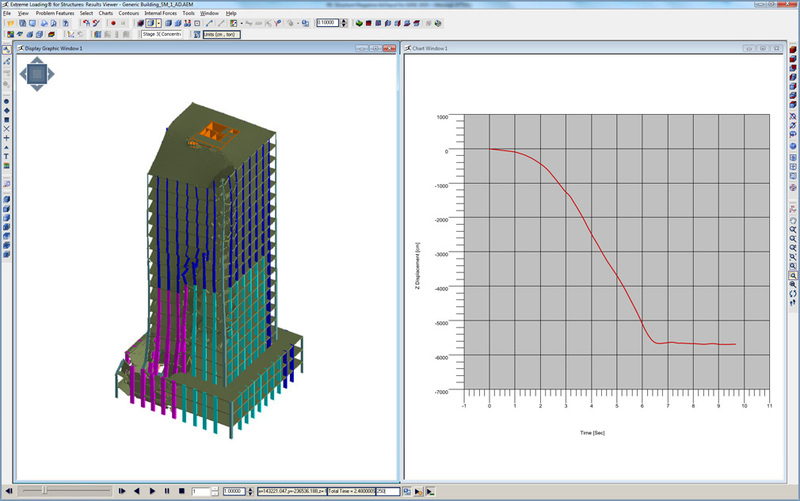 Analysis is performed automatically within the solver. Gravity analysis is provided by default with non-linear dynamic analysis to simulate the accumulated effects of progressive collapse without any user intervention. Through the true modeling of structural components, “catenary action” and other structural responses are taken into account. 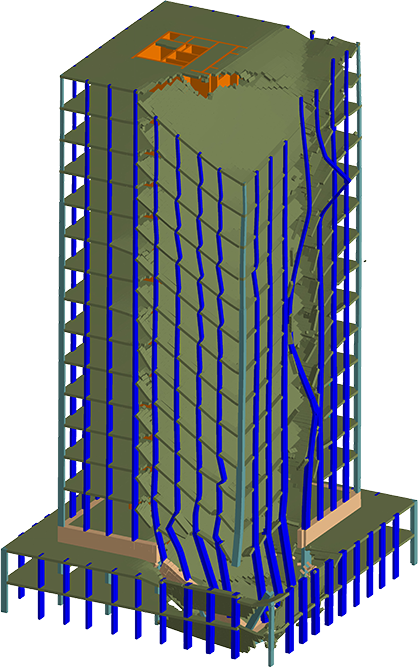 Users can truly understand the cause and how the structure collapses because ELS allows them to witness the entire duration of the collapse process, verify which part(s) of the structure will collapse, and predict the effects of falling debris on adjacent structures.